We are a family owned and operated business dedicated to providing the most professional service possible at a level that our competition falls short. We're sticklers for detail maybe a little obsessive. We have been serving the City of Phoenix, Arizona and surrounding areas since 1999. We are conveniently located northwest of the I-10 and I-17 freeway. Just 30 minutes away from any point in the valley. We know you have many options when selecting an auto repair shop, which is why we are always improving our service. We have top of the line equipment, we only use premium parts and all of our technicians have the experience necessary to do the job right the first time. 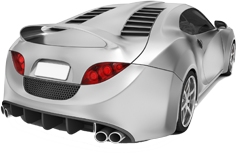 We would like to be your # 1 Alternative to the Dealer when is comes to Quality Catalytic Converters and your one stop Custom Exhaust Alternative. We invite you to stop by our shop and see the difference. We go the extra mile to professionally fix just a simple weld or custom fabricate the Custom Exhaust of your dreams. We are one of the very few exhaust shops in the valley whose only specialty is mufflers, catalytic converters and of course custom exhaust. We are so confident in our work that we back it up with a hassle free lifetime warranty. 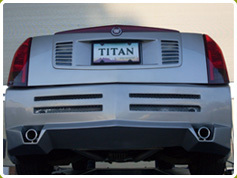 Titan Mufflers & Custom Exhaust, Inc.